Microsoft Office is now officially available on Apple’s Mac App Store. All the Office apps including Word, Excel, PowerPoint, Outlook, OneNote, and OneDrive are part of the Microsoft Office 365 app bundle, which users will have to subscribe in order to use. Although they are of the same version as before when Mac owners had to download them from the Microsoft website. 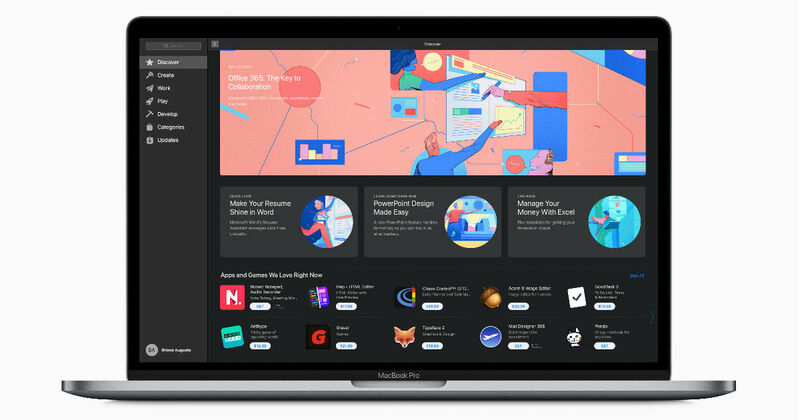 A major benefit of this development is that going forward all the Office apps will automatically get updated through the App Store rather than you having to use Microsoft’s separate AutoUpdate (MAU) tool for updating Office apps on Mac. Microsoft is currently offering a one month free trail of Office 365, post which you’ll have to opt for either Office 365 Personal for $69.99 (~Rs 4,973) a year or Office 365 Home for $99.99 (~Rs 7,104) a year. You’ll also be able to subscribe them on a monthly basis at a slightly extra premium of $6.99 (~Rs 496) and $9.99 (~Rs 709) per month respectively. Additionally both subscriptions come with 1TB of OneDrive storage per user and 60 minutes of Skype calls per month. A maximum of six users can use Office apps on Mac with one Office 365 Home subscription and users can purchase a subscription from within the apps also.